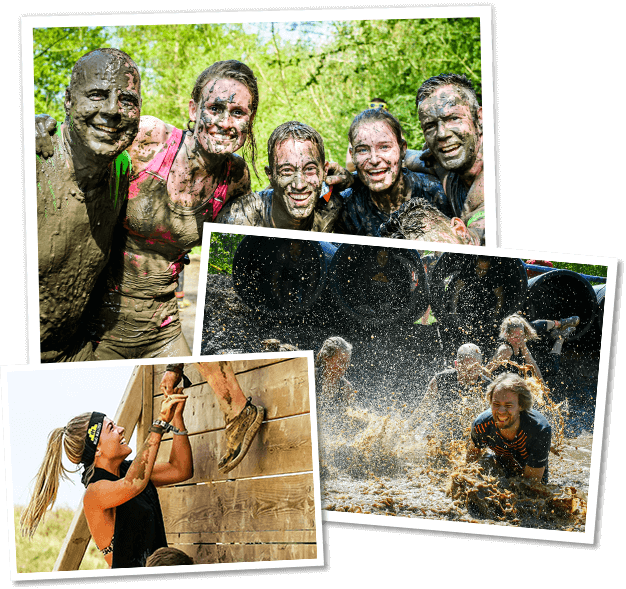 Good times, team building, plus a physical challenge make Mud Masters a legendary experience for your company, sports team or group of friends. 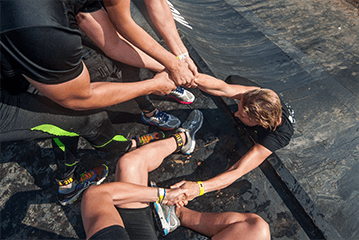 A Mud Masters event means a concrete training goal and a motivating deadline to get moving together and train (more often). The muscle pain will fade away but the memories and stories you make together will last forever! 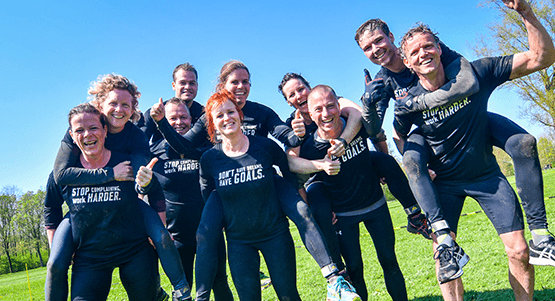 Dream up a crazy team name and register all of you as a group! 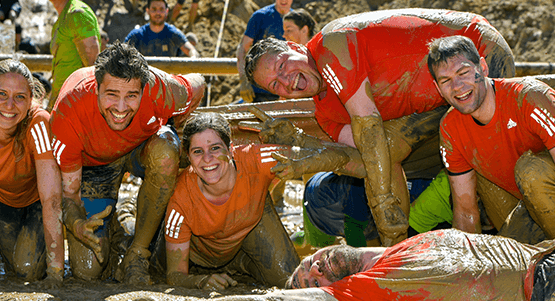 Companies can register all participants at once through the ticket system and pay by invoice. Other groups can designate a team captain who registers everyone. If the team captain doesn’t want to or can’t advance the money for everyone, just select a day and start time as a group and let everyone register themselves. Need help or more info? Email us! 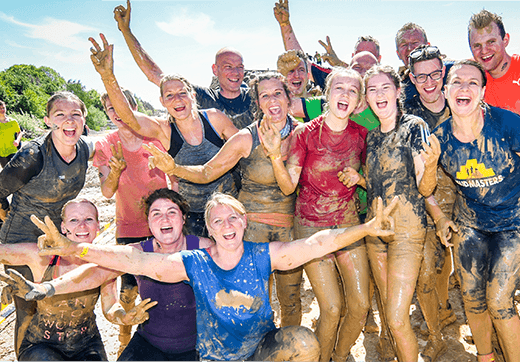 Mail us at service@mudmasters.nl if you have questions, if you would like to receive more extensive information about the extra options, if you want to register more group members in a start wave that is already full, or if you need any other help. Groups of more than 100 participants receive a discount on their tickets. 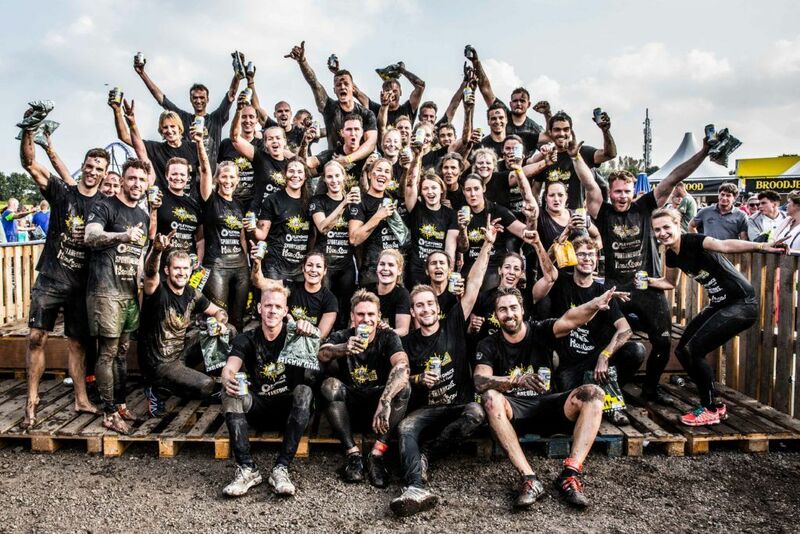 Mail us at service@mudmasters.nl for more information.